Our lives have never been more full of trial or joy. We’re on a beautiful adventure and we thank you for being part! The seasons are changing, and we’ve been settling into old routines and developing new ones. Our weekly times of intercession, prayer, and youth ministry continue. However, we’ve incorporated some new techniques into our weekly outreach. We made a prayer sign and banner, encouraging neighbors to “stop” and “pray”. We’ve been setting this up at various intersections of the city, distributing sweets, water and prayer. I’ll also usually play my guitar and worship over our city. These times prove to be really fruitful, as we usually get to pray with many neighbors and distribute lots of love and materials. On the way to set up the prayer table, my outreach partner and I witnessed a large brawl with about 20-30 kids on a corner. 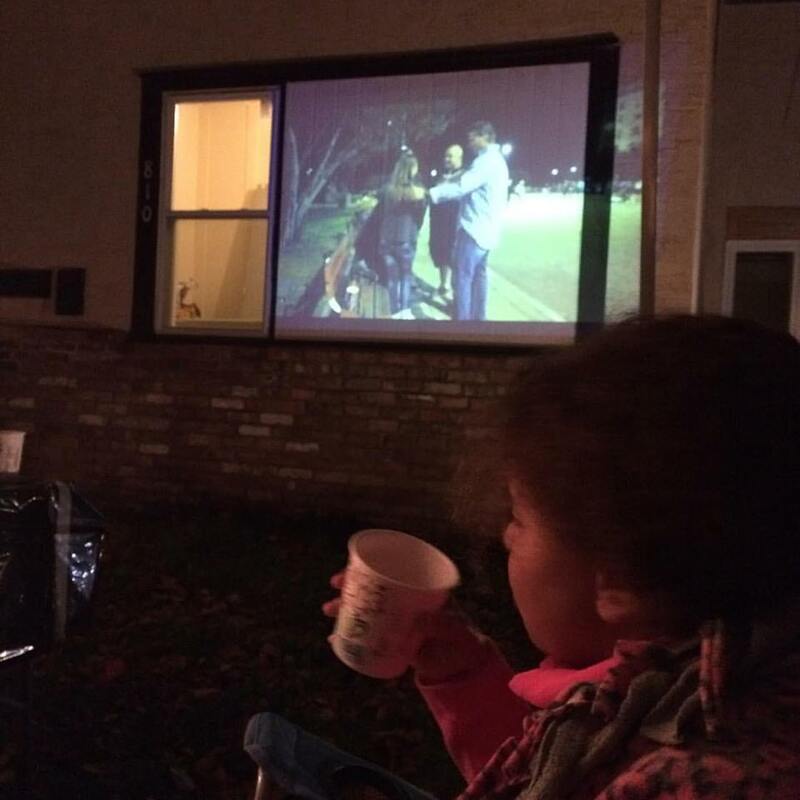 We quickly stopped and intervened the best we could and as a result got to pray with several teens and neighbors. 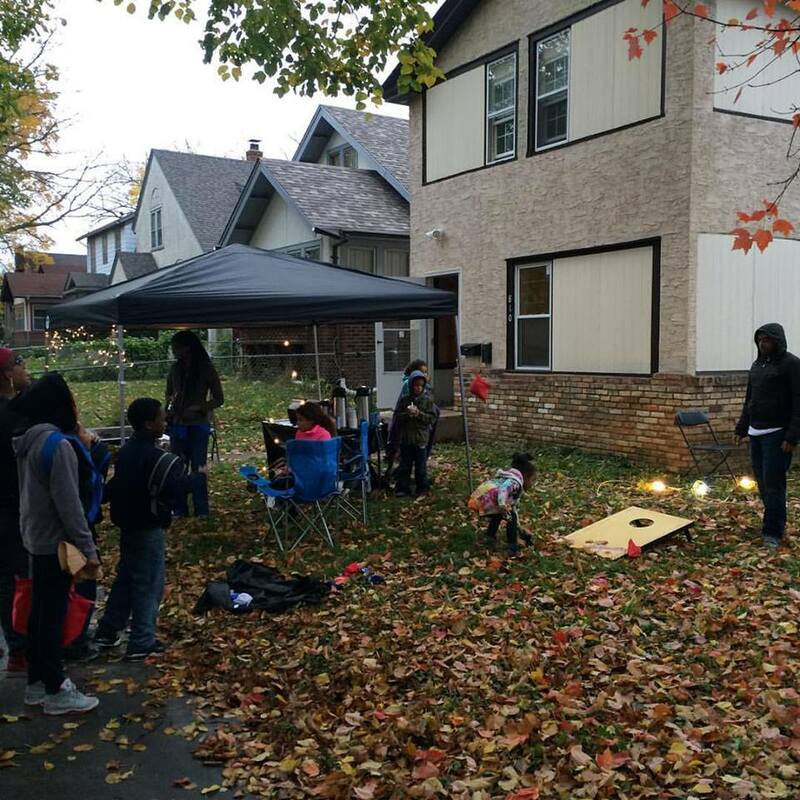 Many neighbors were wondering why we would stop and get involved, and this opened a door of opportunity to share the Gospel and pray with them. Later, after everyone cleared, I was able encourage many of the teens who were involved (including the winner of the fight) in Christ’s love and their identity and value to Him. I simply relayed the story of the Pearl of Great Price and the Treasure in the Field. “There was a rich guy who traveled the world looking for treasure. One day, He stumbled upon something that captivated Him. He desired this thing so much that He went and sold all that He had to possess it. That merchant is Christ. He saw you, and abandoned His throne to wrap Himself in human form and purchase you for Himself. He bought you with His blood because you are precious to HIm. He has amazing resources, yet surrendered all of His rights to purchase ‘you!’ with His blood on the Cross. You have worth and value to Him. You are worth more than you could imagine. Jesus loves you more than you could ever dream possible.” The brawler allowed me to pray with him, and was very thankful for my words and time. We don’t typically engage much on Halloween. However, this year the Lord gave us an idea. 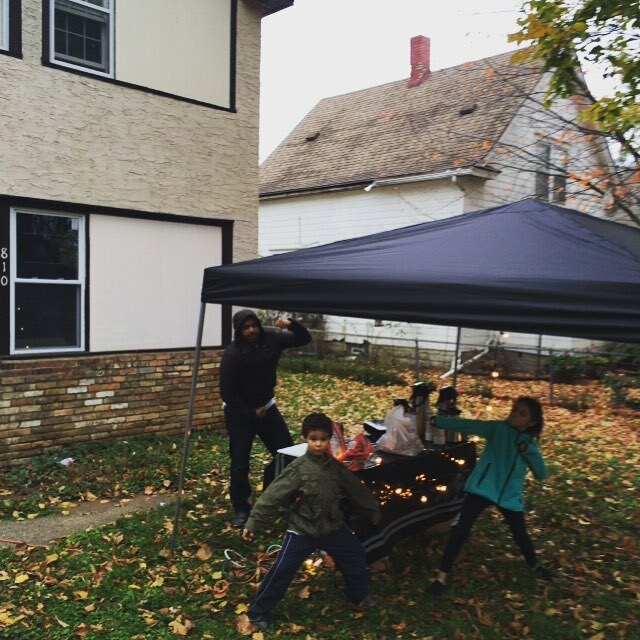 We set up a canopy with lights and fire pit in our front yard, along with yard games. As kids would come through, we’d say “You trick or treating? You’ll for sure get a treat, but would you like to try a trick to earn extra candy?” How could they say no? All agreed to try the bean bag toss game, and this gave us extra time with each kid to share the message of Christ’s love. I proceeded through the creation story, and described how God paid particular attention to creating man ‘in His image’. He BREATHED His Life into our lungs, and we became ALIVE! The same word for breath is also used to describe His Spirit. He put His Spirit in us, and we were born. We rejected God and sinned, and as a result lost His Spirit. The end of the story is that God provides a way for us to receive His Spirit again…to be Born Again. The Way He provided this was to send His own Son, Jesus Christ to pay the penalty for our disobedience. His death and resurrection made a way for us to have God’s Spirit living on the inside of us again. This young man had never heard this story before. He’s about 14. I couldn’t believe he had never heard the simple Gospel before. There are so many young people who literally have no Biblical understanding. He allowed me to pray for him, and as we’re about to pray his friend jumps in and says “I want prayer too!” I’ve been making a habit to ask how the people I’m praying for are feeling when we’re through. This gives testimony to me of what the Holy Spirit might be doing. In his case, he stated, “I can’t describe it.” I asked if it felt like peace? A big smile crossed his face, “Yeah!” was his reply. I gave him a booklet describing how to know God personally and my personal contact info. We had probably 50-75 kids walk through our hut, and many stopped to watch a bit of the Holy Spirit movie we were playing as well. 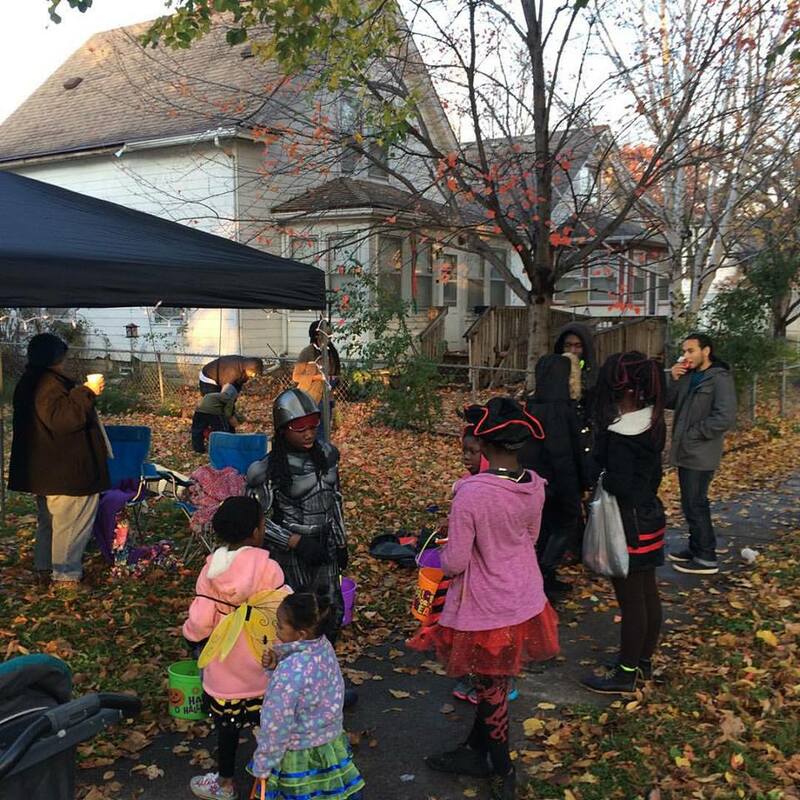 While not all had a Supernatural encounter, all left with smiles and heard “Jesus loves you!” One parent made a point to stop her car and thank us for what we were doing in the neighborhood. We exchanged info and hope to meet up with her again soon! As I mentioned in last month’s blog, 2 teens were murdered within 5 blocks of us this past month. The second instance happened while we were on outreach just 2 blocks away. I happen to have a friend in the apartment complex where the murder occurred, and have been talking with him more frequently in the following days. This complex has stood out to me since the first week we moved into the neighborhood. It is a den of iniquity. As my friend described it to me: “Tim, anything you can imagine that could happen…ANYTHING…it happens right here.” I believe him. There are young men consistently sitting on the corner. There is often paraphernalia scattered in the halls and back lot. And it borders a park on 1 side, and a school on the other. I want to try a divine experiment but I’ll need some help to pull it off. I want to talk to the landlord about leasing one of these apartments with the intent of housing 24/7 worship with Jesus. What would happen to this dark corner if 24 hours a day/7 days a week there were Christians calling on the Name of the Lord? I believe that worship and prayer would change the atmosphere of this dark corner into a story of hope and change. Why do I believe this? 1) Worship changes the atmosphere. When we declare God’s Holiness, we are declaring war on the enemy. God is light, in Him is no darkness at all. We enter His gates with thanksgiving, and his courts with praise. When we call on His Name, His Light enters the darkness; and darkness must flee. 2) God is for the poor and brokenhearted. This is exactly where Jesus wants to be. What I’ve discovered is that most of the residents there have grown numb to the value of life. 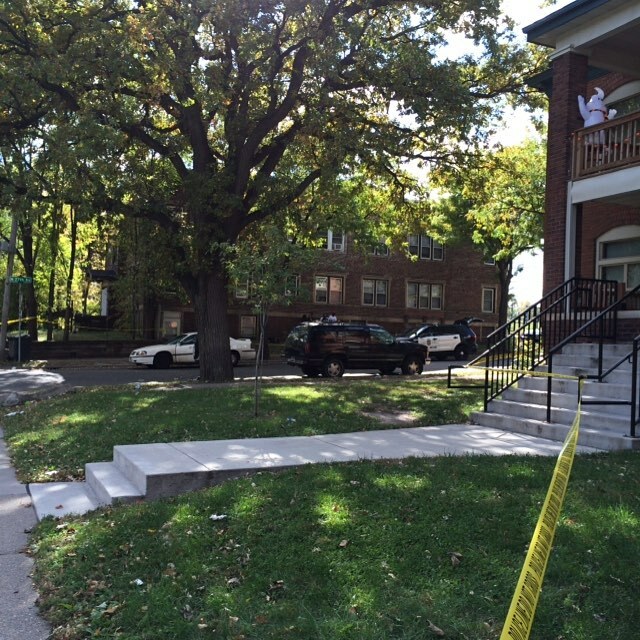 The day the teen was murdered, I was standing by the police tape checking on my friend. 5 feet away were a group of young men and women who were laughing and joking around, as if there weren’t a dead man 20 feet away. There was no regard for life. It occurred to me, “What have these people been through, where the value of this life 20 feet away means nothing to them? What do they feel about their own life?” This is what I love about our Jesus: “While we were still sinners, Christ died for us.” Even when we don’t see the value in Him, He sees the value in us. He pursues us with reckless love, and I want to see a generation of young men and women who pursue Him with the same reckless abandon. Will you pray with me for: favor with the landlord? Favor with the neighbors? Favor with area churches to help staff the days? Favor with local law enforcement? Funds to rent the apartment for 6 months? Favor with counselors to volunteer a few hours a week for the next several months? I met with a former city council member and local school board member over the past weeks. He and I agree that there should be a catalyst to unite to Body of Christ to do good works in our city. Not just for the sake of doing works, but to minister out of an overflow of love for God who desperately and uniquely loves our neighbors. We’ll be meeting with local pastors and area non-profits over the coming months to plan something extraordinary for next Summer. Please pray for favor and wisdom with those meetings as well. We continue to have about 10-15 kids come to our weekly Bible study and meal times. This is down a little bit from last year as some of the kids moved out of the neighborhood. The positive side effect of this is that we can have deeper and more meaningful conversations with the kids who do come. It’s been so encouraging to see the kids lead out in prayer and grow in their knowledge of God’s love. Please continue to pray that the seeds of the Gospel would go deep with this group. Not just for knowledge, but that the knowledge of God would lead to relationship with Him that grows and produces fruit in their families and generations to come. Special thanks to Hosanna Lutheran Church! 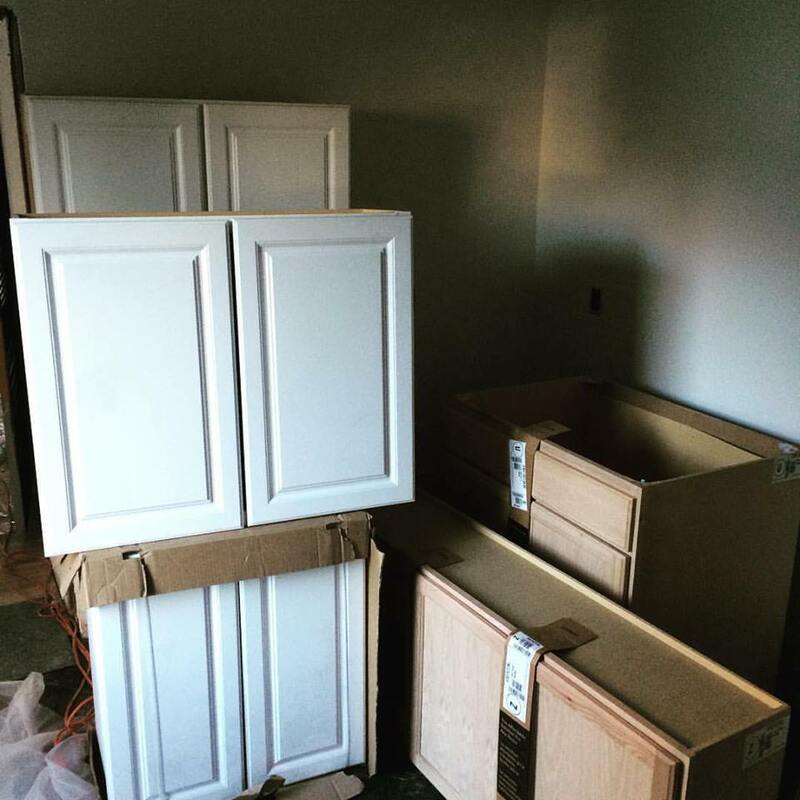 Through partnerships, they were able to donate several cabinets and other materials. With these, we should be able to finish up the bathrooms and kitchens this month. Thank you for your continued prayers and support! WTG Tim and Miah. We will pray for favor with the landlord. I used to manage Section 8 properties and I would have died to have a prayer room in the complex. We’ve been looking for an inner city space for Rich in Mercy. The spirit of death has been unleashed on the north side. Give the ministry line a call 763.560.8383 God bless.